Massapequa, NY - October 31st, 2014 - Long Island Women’s Leadership Conference: Achieving Extraordinary will be presented by Mom-mentum, a leading voice and source of support and resources for mothers as they navigate their lives. The organization’s mission is to engage, enrich and empower women both personally and professionally. The conference will be held on Friday, November 7, 2014 at Crest Hollow Country Club in Woodbury from 8:30 a.m. to 4:00 p.m. The program will feature a group of dynamic speakers who will cover topics meant to cultivate awareness and empower women to execute change. At the conference Mom-mentum recently rebranding program organization, will introduce its new and enhanced mission and programs. Women who want to refocus their career and business goals and aspire to advance themselves by connecting with the people and communities that can support them “must-go” to this conference. The subjects to be covered include: Leadership Skills; Personal Development; Career Development; Advancement; and Public Relations/Personal Branding. It is designed for leaders, managers and entrepreneurs who want to advance their career or grow their business by proactively pursuing their own professional and personal development. 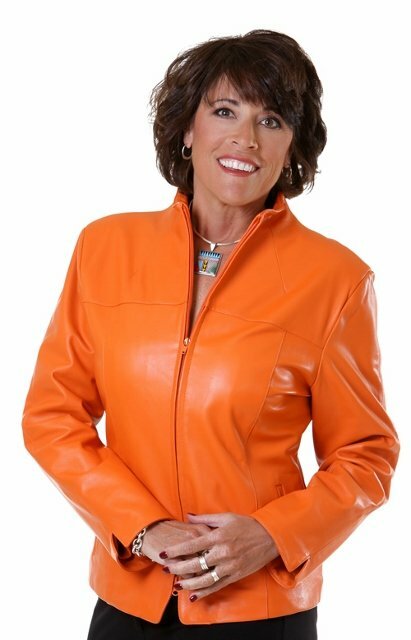 Fawn Germer, business consultant and Oprah-featured author of the best-seller “The Ah-Ha! Moment” will give the keynote address entitled “Achieving Extraordinary.”Germer who is respected around the world for her ground-breaking work on leadership and performance dynamics is revered for her authenticity and inspiration. Germer will also moderate a luncheon panel discussion – “The Voices of Work & Life: Courageous Conversations.” The panelists are Ellen Cooperperson, Beverly Fortune, Beth Meixner and Vicki Schneps Yunis . Mom-mentum will present a scholarship award to a Long Island woman in honor of Judy Martin, WorkLife Nation founder and journalist. Judy Martin strove to promote a work-life balance, teaching professionals how to manage their stress in order to achieve success and serenity in their careers and in their lives. The full-day conference includes the keynote address, workshops, luncheon, 2014 When Work Works Awards formerly Alfred P. Sloan Awards, a special luncheon panel discussion, exhibitor’s area and a cocktail reception with book signing and raffle drawing. For information about the Mom-mentum Achieving Extraordinary Conference, sponsorships, exhibiting or to purchase tickets click here, or call 516-939-6667. Subject: LongIsland.com - Your Name sent you Article details of "Mom-mentum to Present “Achieving Extraordinary - LI's “Must-Go” Women's Leadership Conference This November"